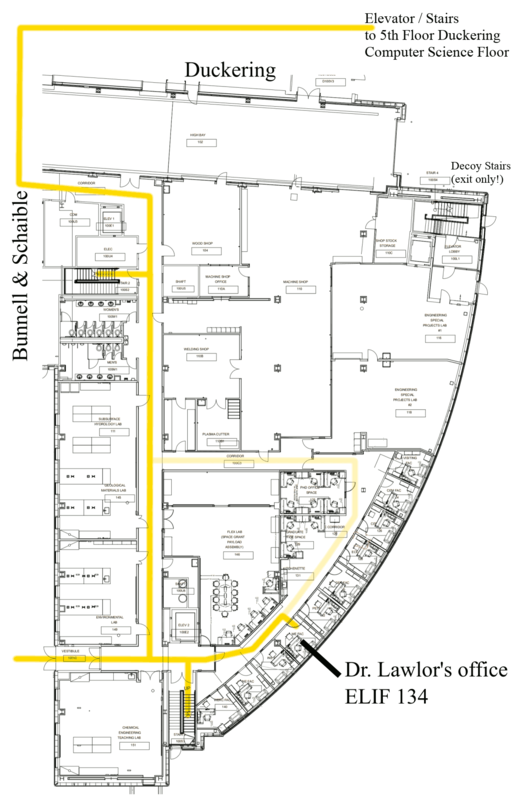 Dr. Lawlor's new office is Engineering 134, lawlor@alaska.edu, +1 907 474-7678. Orion's Standard Library: C++ math, graphics, and network code snippets. OpenGL Code: OpenGL interactive graphics programs. EPGPU, a usable C++ wrapper around OpenCL for portable graphics card/multicore code. cudaMPI and glMPI, to write parallel programs on a networked cluster of graphics cards. MPIglut, to easily run serial OpenGL GLUT applications on a parallel MPI powerwall. Min00 Driver for Linux for the Konica Minolta 2400W color laser printer. usb_pickit Linux/MacOS X command-line access to the Microchip PICkit 1 USB device programmer. Blog: 2012-present: code, robotics, etc. 1997-2006 Projects: Graphics, C++, Woodworking, etc. Over 11,000 pictures, all released to the public domain! Contact me: email, address, phone.